Statement jewellery can be worn anytime of day or night and add a bit of extra fabulous to your look. Whether your heading into the office, to the park for some flying fox and super swinging action or heading out for a night of extravagance and delight, a statement pice of jewellery can lift your look and make you feel incredible all at the same time. Below are 5 looks and how to wear statement jewellery with them – those include earrings, bangles and necklaces. 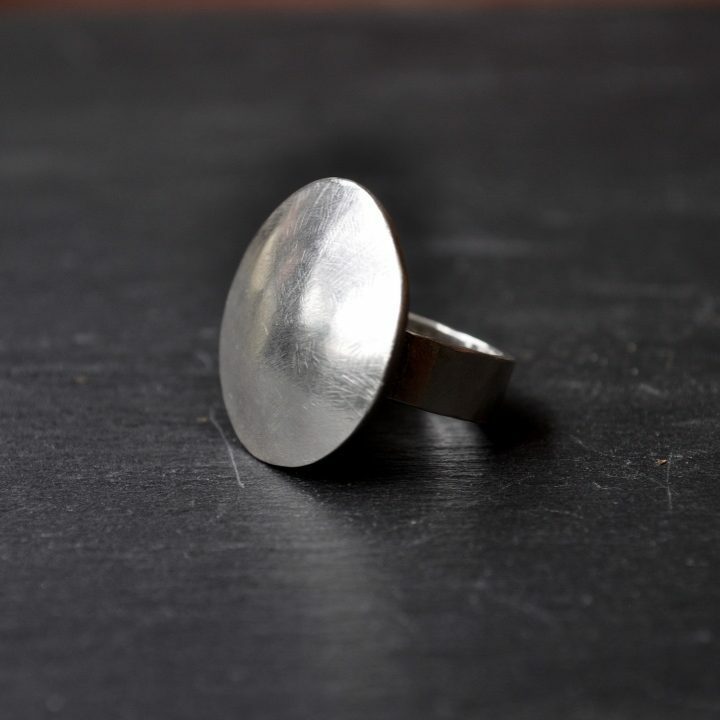 Im an avid wearer of rings, and feel that rings, either simple, stacked or bold can go with any outfit, at an occasion and on anyone, so I have not specifically mentioned rings. Just know you can and should wear these delightful little beauties any time you feel like it. 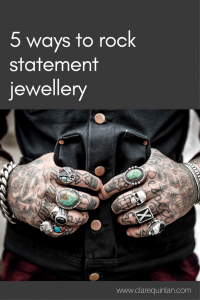 The world of statement jewellery is your pearly oyster here! Black is a great canvas for most pieces. Try to avoid black jewellery unless the piece has texture and won’t get lost in all the black your wearing. Silver and gold stand out brilliantly. Think large, textured shapes – killer earrings or a stack of bangles and cuffs. If necklaces are more your style you can wear one chunky piece of different colours or textures, or you could create a necklace stack and incorporate a few smaller pieces to create a statement. Another great canvas for statement jewels. You could create a statement with earrings, bracelets OR necklaces here – a big pair of earrings or a chunky bangle or stack of smaller coloured ones. Necklaces come in a range of shapes and sizes, think about incorporating texture by choosing pieces with coins or bead detail or a collection of different materials. As with wearing all black – the LBD- or in my case Little Navy Dress – can be a great canvas for a multitude of statement jewellery options. If your dress of choice is simple and plain – again try adding texture to your look with a necklace or earrings that have more detail. Beads, chain, filigree, hammered/ filed texture on large silver/ gold pieces. But choose one thing – bracelet, necklace or earrings. Don’t go too overboard here as the elegance from a single beautiful dress can be lost and your chosen piece of jewellery wont be standout, it’ll be overwhelmed by other bold pieces. A colourful outfit in block colours calls for statement jewellery in complimentary or plain colours. 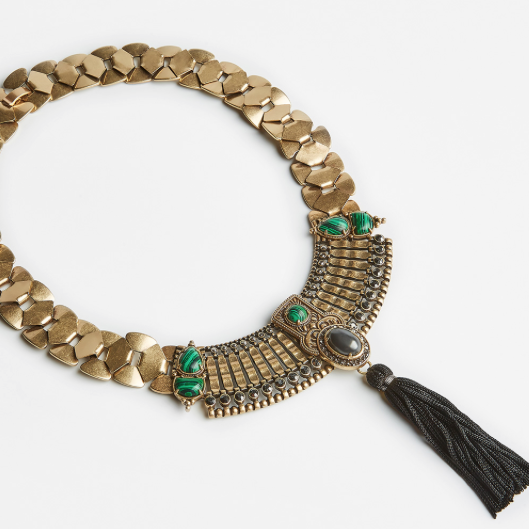 A necklace that has dangling elements will add texture to your look. 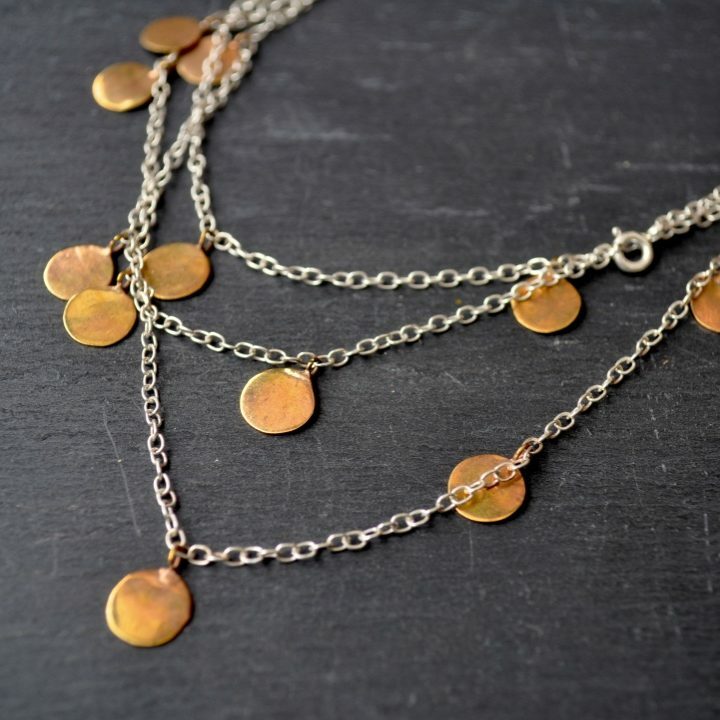 Or try wearing a few smaller necklaces as a stack to create a layered effect. Similarly, bangles, bracelets and cuffs, that are smaller in size can be stacked together on the same arm to create a standout collection. Try to incorporate different textures but in a similar material – silver and gold, wood or coloured materials like enamel, made from beads, chain, hammered shapes, filigree, etc to add interest. Pattern – big or small, we love it all! 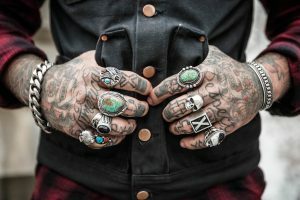 Some patterns have a lot going on – but fear not! You can still rock that statement jewellery. Go for designs that are chunky in shape and simple in colour. Aim to stick to one colour, a black rope necklace or bold silver earrings. You don’t want to have too much going on in your jewellery as the detail will just get lost. One statement bangle, necklace or a big pair of earrings will work well with your outfit.